‘Tis the season for baking and cooking with dog fur and cat hair, at least in this house. We haven’t formally introduced her on this blog yet, but we have a new kitten in the house. Her name is Pickles and she likes to sit in the sink. She also likes to stand with her head directly under the running faucet and watch the water go down the drain. 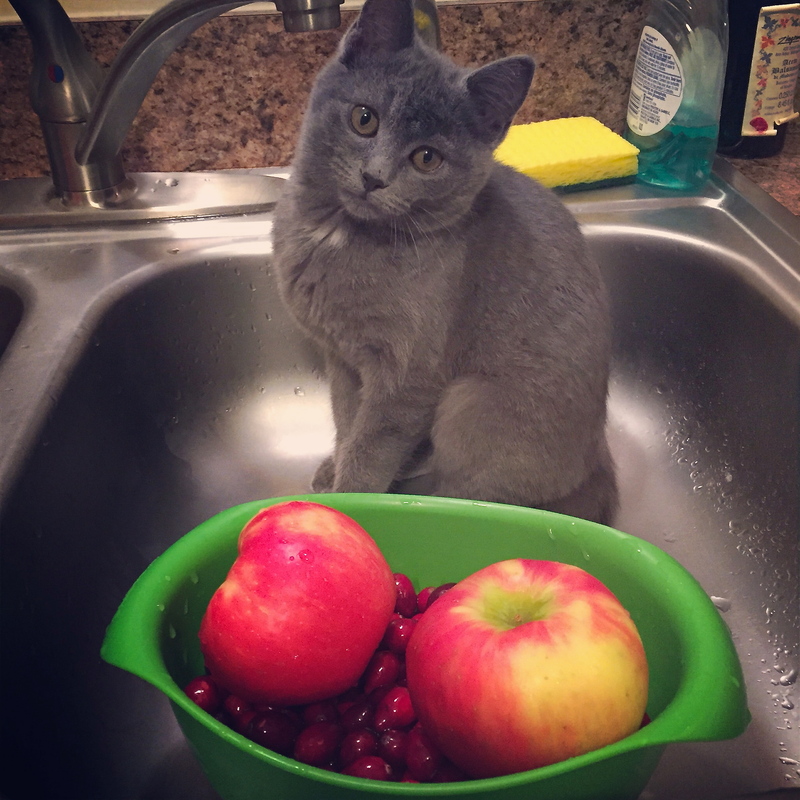 I whipped up a batch of my favorite apple cranberry sauce for Thanksgiving last Thursday, and she was super helpful with the food prep. Cranberries and cat hair: So tasty. This entry was posted in Fun Stuff and tagged animal behavior, animal photography, apples, baking, cat hair, cats, complementary colors, cooking, cranberries, cranberry sauce, food prep, holidays, kitchen helper, kitchen sink, kittens, pet adoption, pet hair, pet ownership, Thanksgiving. Bookmark the permalink.